Students at Bellevue Elementary School received the prestigious Mastri Recycling Award, Friday,for demonstrating excellent recycling habits throughout their school. The school has recycling covered in all classrooms and hallways AND they have a cafeteria food scrap composting program too. Students take a hands-on role in the recycling program, collecting the building’s recycling and bringing it to a central location for pick up. In addition, they are learning and experiencing the compost process by amassing their cafeteria scraps and composting them as part of the science curriculum. OCRRA established the Mastri Award to recognize excellence in school recycling programs and remember the dedication and passion of Dr. Vonnell Mastri. Mastri was a former educator at Onondaga Community College and a City of Syracuse appointee to the OCRRA board of directors at the time of her death in 1996. Each year, to honor her, OCRRA declares a city school the winner of the Mastri Recycling Excellence Award. Applicants are competitively graded by OCRRA personnel. 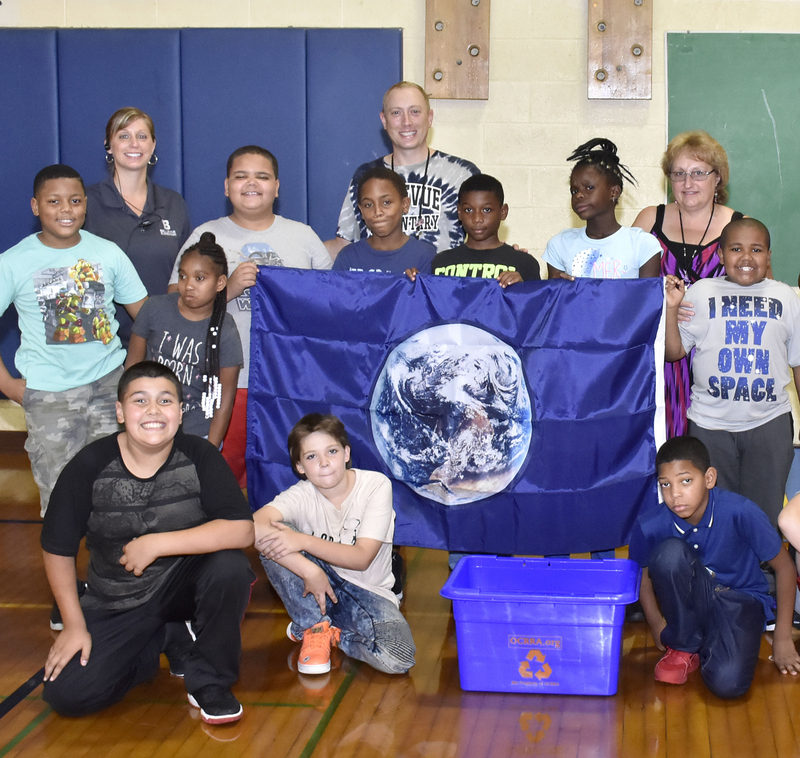 Students and staff at Bellevue Elementary receive the 2018 Mastri Recycling Excellence Award from OCRRA for their outstanding recycling and composting efforts. City schools interested in learning about applying for the 2019 Mastri Award should contact OCRRA Recycling Specialist, Theresa Evans, at (315) 453-2866, ext. 1210.